Following her flawless training, this young engineer immediately found a job in her field of interest: the paint industry. 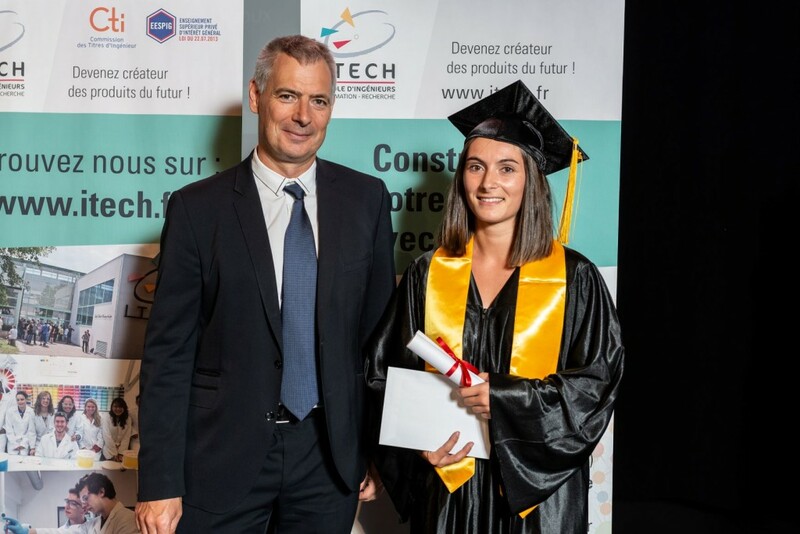 Particularly motivated by science in general and most noticeable by chemistry, Estelle Liautaud, was made aware of ITECH during her last year of high school: “as I was interested in formulation chemistry and in industrial applications, the school perfectly answered my expectations”. The 2 years spent at Montpellier’s IUT in Chemistry comforted her in her project to orientate herself towards formulation chemistry. And in 2015, thanks to her good grades, she enrolled into ITECH and later on into the Formulation section. Theoretical and practical teachings equally, answered her aspirations: “I most noticeably appreciated the internships in industry and the research projects that were done at the school in small groups of students. I discovered how to formulate a paint in a very substantial way and could very well apprehend the mechanisms of an innovative undertaking”. She also keeps a good memory of her 2nd year internship that took place within the laboratory of Mapaero (Ardèche): “under the mentoring of an ITECH engineer, I worked on the formulation of a chrome-free anti-corrosive coating, aimed for the application on internal plane structures. This internship also allowed me to apprehend adhesion problems and chemical resistance linked to the applications in demanding environments”. She particularly liked the atmosphere and the values of this Airbus supplier, which was the first to introduce water based paints to the aeronautical industry in Europe. Being attracted to the industry, she did her final year internship within the Blanchon group, specialised in the manufacturing of technical varnishes for industry, wood trades, floorboard appliers, large DIY surfaces, etc. She was pleased with the mission that the company entrusted in her: “it involved a complete project for new varnishes, from conception to formulation”. The Lyon group appreciated her work and offered her a permanent contract once she had obtained her degree. She’s now been working for the last few weeks within the R&D service of the innovative solutions department for protection, maintenance, building and habitat renovation: “one of the important points consists in taking into account the environmental aspects of products”. She’ll inevitably be benefiting from interesting opportunities within this rapidly expanding group which exports26 to over sixty odd countries.